Dock2Office the creators of the Sphinx tablet dock currently over on the Kickstarter crowd funding website looking to raise enough funds to make the jump from concept into production, and we featured last month. 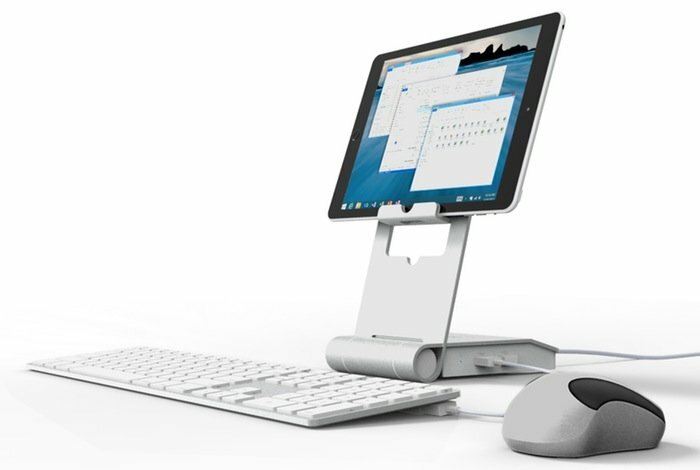 Has this week announced that they will be using the Raspberry Pi mini PC to power their new tablet docking station. The Sphinx tablet dock will now be powered by a Raspberry Pi Compute Module, a smaller version of the awesome Raspberry Pi mini PC, that has been specially developed for embedded and commercial products. “This combination of beauty and brains makes the Sphinx not only an unique solution using the tablet as a full Remote Desktop solution. Combined with a tablet screen it creates also a full size Raspberry Pi computer with all necessary I/O available that can help bringing many imaginable Raspberry Pi-projects to life. For more information on the new Sphinx tablet dock and its new Raspberry Pi option jump over to the Kickstarter website for details.